Following the success of previous Family Concerts at St David’s Hall, WNO returns this month with a brand-new Halloween themed performance that’s perfect for children and adults alike. Halloween offers a brilliant opportunity for us to get creative with this concert –from decorating the concert hall and foyers, planning spooky activities and dressing up, to finding a programme of popular (and some not so well known) pieces of music to entertain the audience. We would love you to come along to St David’s Hall early, from 1pm, where there will be a whole host of free games and activities for the younger members of the family to join in with (all open to non-ticket holders as well). 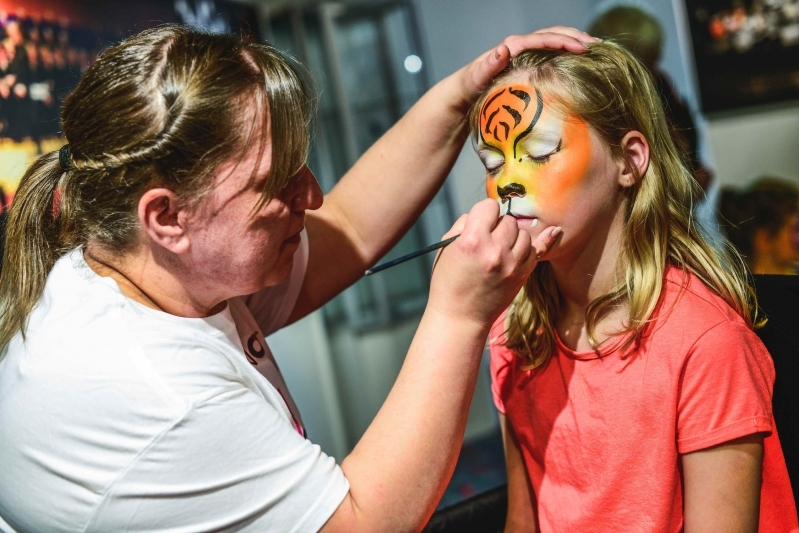 There will be a treasure hunt, face painting, costume and wigs demonstrations from our fabulous teams here at WNO and also a chance to meet some of the musicians that you’ll see later on in the concert. You can even have a go at playing an instrument – see if you’re a future drummer or trombonist! We are delighted to have Welsh actor and writer Steve Speirs as our presenter and compere this year. Steve made his WNO debut in Summer 2017 in the role of Frosch, the gaoler, in Die Fledermaus. Audiences may also recognise him from appearances in Stella, Extras, Upstart Crow and Star Wars Episode 1 – The Phantom Menace. In addition to Steve guiding you through the programme for the afternoon, we have our regular Family Concert Conductor, James Southall, who is currently on tour with WNO conducting La traviata, and soloists Ailish Tynan, Gareth Brynmor John and Sophie Yelland. Ailish has previously appeared with WNO as Gretel in Hansel und Gretel – and we’ll be hearing her reprise some of the arias from that opera in the concert; Gareth recently toured with the WNO Orchestra Summer Opera Classics concert across Wales, as well as appearing in La bohème and Don Giovanni in recent opera seasons; Sophie has performed with WNO on several occasions and recently became a permanent member of the WNO Chorus. WNO likes to introduce you to a wide range of music in these concerts, so that everyone can enjoy the live orchestra experience, whether it’s your first time or you’re a regular. The Halloween theme gives us the chance to have a bit of fun too, so as well as arias from Hansel und Gretel and The Magic Flute you’ll also hear some popular pieces from film and television including Batman and Harry Potter. Come along for some Halloween enjoyment with WNO.